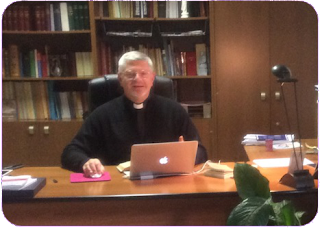 CJM-Rome/Communications: Father, you are about to leave for South America to meet the Eudists who work and live there. Have you ever been in this Continent? In which Provinces will you be traveling? What is the purpose of this trip? Are you going to celebrate any special moments? Fr Jean-Michel Amouriaux, c.j.m: I’m very glad to go back to South America. I have been there many times, either with groups or for meetings for the Congregation. Don’t forget that I was elected in Mexico! I shall soon be leaving for Colombia following an invitation from Fr Jose Maria Bacci, the Superior Provincial, to conduct two retreats, one in Bogota and the other in Medellin. This gives me the opportunity to put faces under names and to learn more about this country where a majority of Eudists come from. I will also have the pleasure of meeting members of the Eudist Province of Minuto de Dios, in Bogota, notably with fellow members whose work is invaluable for the whole Congregation, such as the Unit for Eudist Spirituality and the Center for the Formation of agents for the New Evangelization and Catechesis. I’m anxious to discover what the impact of Pope Francis’s upcoming visit will be in a country that has chosen the paths of reconciliation and collaboration to build a new future. Following this, I’ll stay for one week in Bogota for two meetings: first the Economic Council of the Congregation, which will be widened to include the Provincial officials in charge of Finance, and next, the General Council. Finally, from 18 to 28 December, I’ll be staying with the Fathers and the Associates in Venezuela. I am eager to spend Christmas with them since they have been going through very rough and painful times. This is why I wish to bear testimony to the fraternal support of the entire Congregation. CJM-Rome/Communications: The General Council is an important event for the Congregation: How many meetings are there per year and how many Fathers participate in them? What subjects do you talk about? of new works or putting an end to others in the Provinces, etc. The other important action plan is to implement orientations and setting to work projects that have been chosen by the General Assembly. Last June, we settled and made public a working plan for the next five years and shared the responsibilities relevant to them between the Councillors. For example, in October, we organized a seminar for the training of all the Eudists who are taking part in the fields of Pastoral vocations and the initial and continuing formation of Eudists. I will also add a word about what we are doing in the domain of spirituality. In this area, we are working very closely with Bishop Luc Crépy and Sister Marie Françoise Le Brizaut in promoting the cause of the Doctorate of John Eudes. The team is tightly linked up with the Unit for Eudist Spirituality in Bogota and all those who commit themselves to spreading the spirituality of our Founding Father. I must say that we have opened a great many fields in only a few months and therefore, we have no time for being bored! CJM-Rome/Communications: There has been a lot of information about Venezuela in the media in Europe. Therefore, we know what is happening over there. What message will you be bringing to our Venezuelan brothers and to the young people who share their life and values? I am told that you are to meet with Cardinal Porras? Fr Jean-Michel Amouriaux, c.j.m: The political, economic and social situations in Venezuela are terrible because of the lack of safety for citizens, of the limitation of civil liberties, of the scarcity of food and medication and of the threats directed towards the Church for any criticism or comment, if any, be made. Despite all this, our Eudist Fathers, the Candidates and the Associates keep on accomplishing their missions with great courage and solidarity. Many say that they must go through these hard times and so they face it bravely in faith and resolutely. The Province of Venezuela has support from the Province of Colombia, Minuto de Dios as well as the Province of North America and the Philippines. Consequently, I feel the urge to go and join them, to show them that in the office I hold, I wholeheartedly express the brotherhood and support of the Congregation with our members and friends in Venezuela. A program has been drawn up for me and I know that I will have the opportunity of meeting with many high-ranking members of the Church in the country. For example, a meeting has been scheduled with the Archbishop of Merida, HE Cardinal Baltazar Enrique Porras Cardozo, in a most unusual approach. In fact, Cardinal Porras has asked to join up as an Associate in our Congregation. He has come to this decision under the close guidance and the audacity of my predecessor, Fr Camilo Bernal. Archbishop Porras has expressed a deep and fraternal attachment to the figure of the servant of God, Mgr. Miguel Antonio Salas, the first Eudist from Venezuela, and mostly for the outstanding role he played as Archbishop in Merida. I will greet this wish expressed by Mgr. Porras with great humility in front of such a worthy servant of the Church and with pride of welcoming him in our small Congregation. CJM-Rome/Communications: You will be in South America during the full length of Advent, a time that is most favourable for the formation of Christ within us…How do you react to this comment? saint John Eudes, we turn towards the Virgin Mary as the first person in whom Jesus has dwelled. In fact, her experience is unique because its is linked to her motherhood. However, we know there is something else since she has always, and forever, carried in her Heart He, her Son Jesus, whom she carried for nine months in her bosom. During the time of Advent, we accompany the Mother of God, towards the childbirth of her Son. We faithfully make our way to greet the One whom we will recognize as our Saviour in the crib. The Virgin Mary is the sign and the agent of this interior formation of Christ. 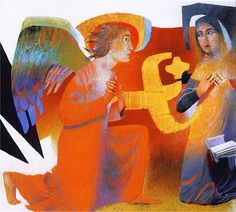 She is the most distinguished symbol of the reception of Christ in her faith, as she expressed it initially in the words she uttered when she greeted the Angel: «Let it be done to me according to your word ». She walks with us on the paths of our pilgrimage of faith and thus forms her Son in us, in our spirit and in our heart, giving Him ever more interior space and considering Him as the most important reference for our behaviour. I wish that all the members of the Congregation, the Associates and Friends, will continuously take benefit of this wonderful inheritance and develop it during this liturgical time, a time of sanctification during which we roam through the mysteries of the life of Christ. We have at our disposal many tools to do so, handed out to us by the teams of formation and communication who supply us daily with thoughts, ideas, prayers and other texts. May we all seize such a wonderful opportunity.